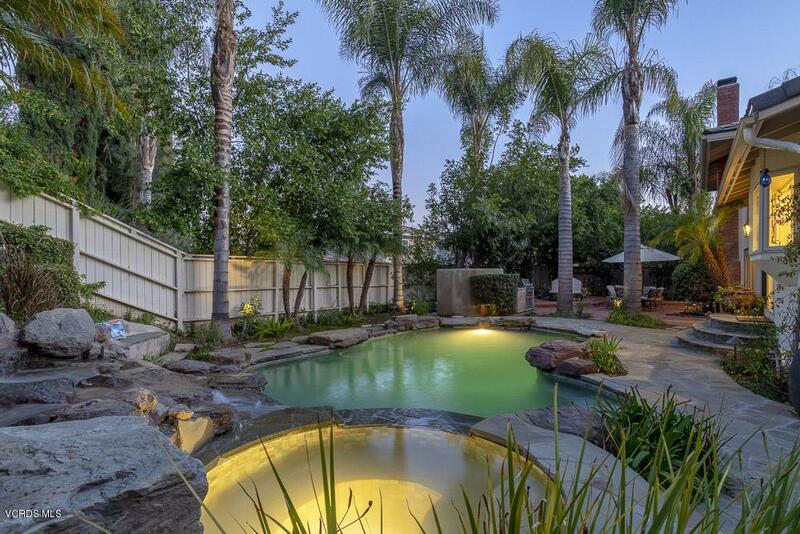 Nestled at the end of a prestigious cul-de-sac, this meticulous oasis boasts a private entertainer yard! 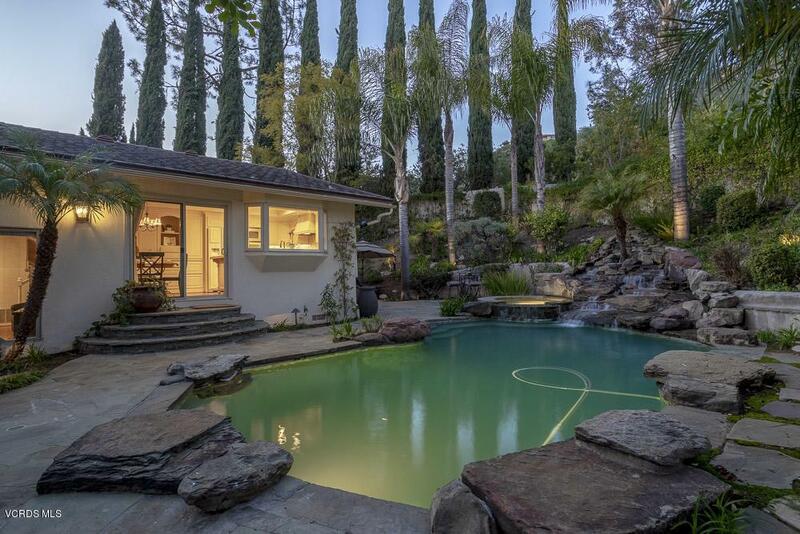 Canopied under palms, the large lot features a striking pool, spa & cascading waterfall! 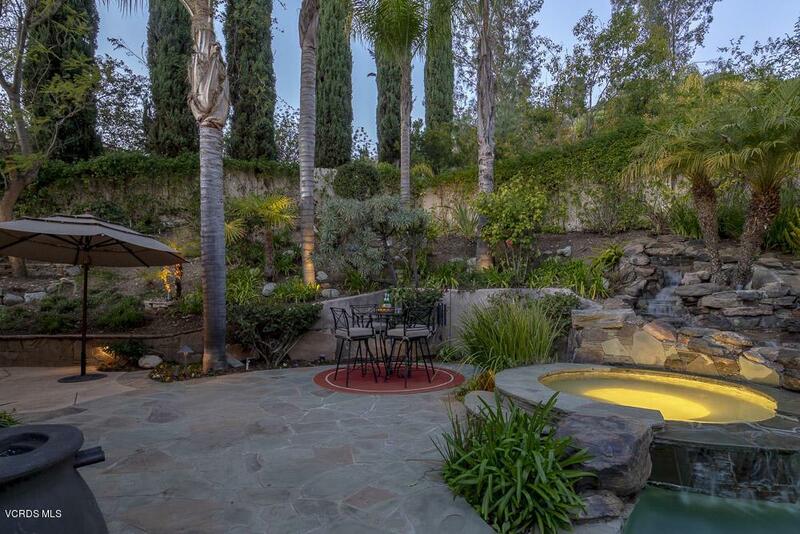 Custom brick + rock hardscape, B/I BBQ, outdoor LR w/TV, gas hookups, & quaint patio ready for alfresco dining! Elegant curb appeal welcomes you through stunning doors, vaulted ceilings, hardwood flrs and cohesive floorplan. LR offers bay window w/ custom drapery, window seat, and DR w/ sliding door leading to the outdoors. Charming French Country Kitchen is fully equipped w/generous cabinetry, undercounter lights, SS range w/custom hood, SS dishwasher, built-in fridge, granite counters. Pictureqsue garden window & cozy nook showcase the cascading outdoor water fall operating w/a touch of a button. 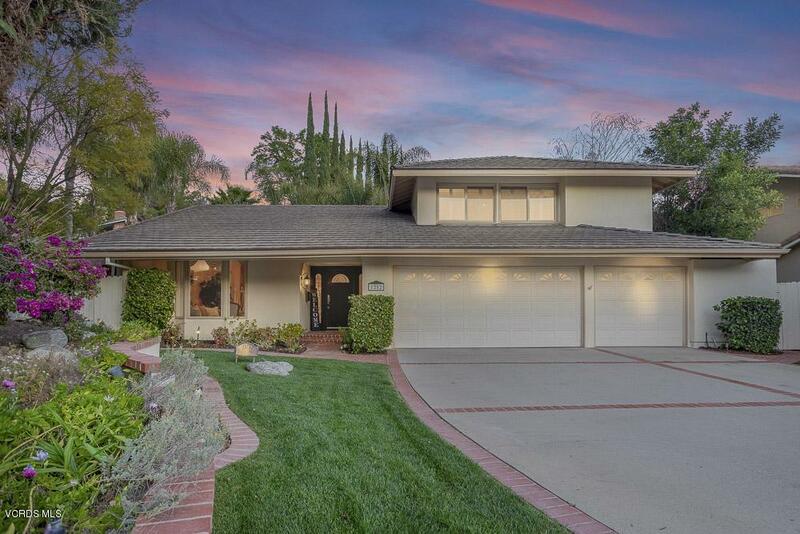 FR w/wet bar, classic gas f/p +French doors. Dwnstrs bdrm + bath! Dwnstrs bath upgraded w/white subway tile shower + frameless glass door + brushed nickel fixtures. Upstrs lrg M.Bdrm w/ wall-to wall windows & shutters, new carpet, walk-in closet, dual vanities, and a walk-in shower w/ stone tile + frameless glass door. Two add'l upstairs bdrms w/Lrg closets, newer carpeting. Upgraded hall bath! 3 car garage! Near excellent schools, lake & in the heart of it all! Exclusions Dining Room Chandelier Will Be Excluded From Sale.